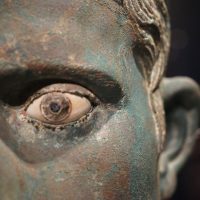 In an effort to share more of our favourite ancient objects from around the world, Ancient History Encyclopedia staff have taken a closer look at some really amazing objects or structures. 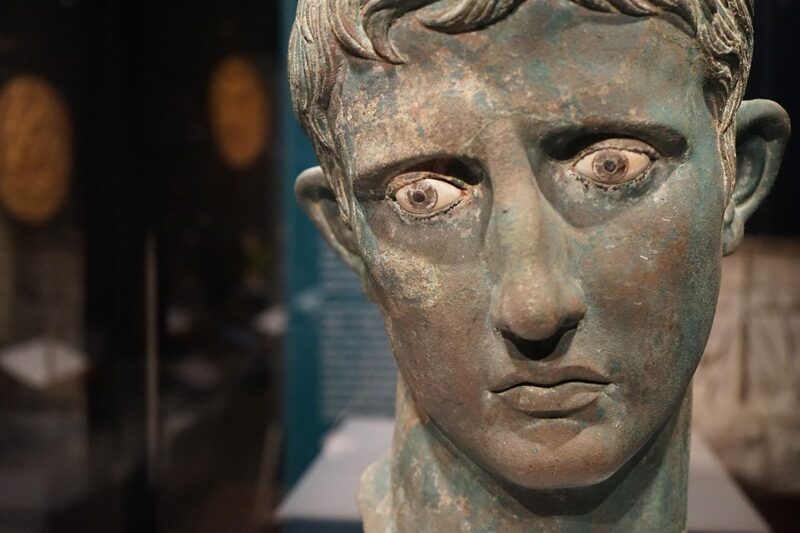 Today’s Object in Focus is the Meroe Head of Augustus. 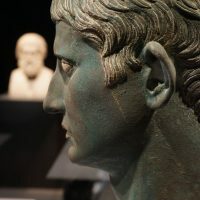 The Meroe Head is a sculpture portraying the Emperor Augustus Ceasar who ruled in Rome from 27 BCE – 14 CE. 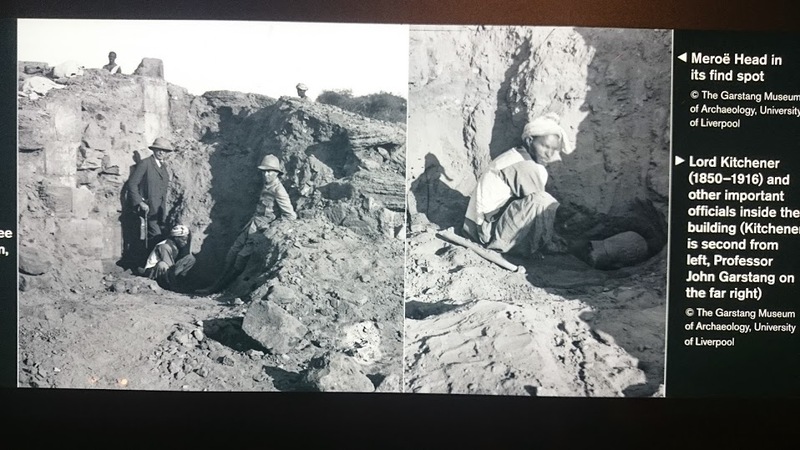 It was discovered on the eastern bank of the River Nile between the Sudanese villages of Kegyek and Deraqab in December 1910. 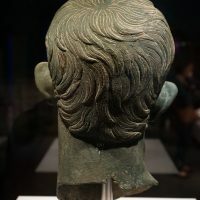 Its discovery was a complete surprise as the excavators who first saw it, recognised it as a classic Roman sculpture and wondered how it came to be in Sudan so far from the empire’s borders. 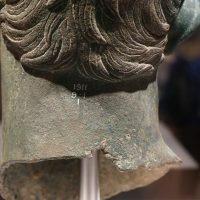 Courtesy of the Greek historian, Strabo, we now have an answer to that question. 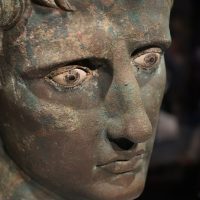 In 25 CE a Meroite army, led by King Teriteqas and Queen Amanirenas raided Roman garrisons at Syene, Elephantina and Philae, in southern Egypt. 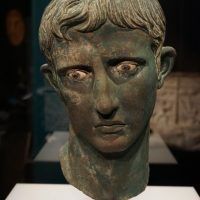 Then after attacking landmarks, they decapitated Augustus’ statue and buried his head in the entrance to a temple. It served as a victory monument, allowing visitors to trample on the Emperor each time they entered the doors. Since its discovery, the Meroe Head has captured people’s attention, which it no doubt did in ancient times as well. 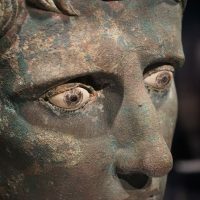 It has featured in numerous exhibitions including, but not limited to, the Mostra Augustea della Romanita, Italy 1937-38, The Meroe Head of Augustus: Africa defies Rome, UK 2014 and A History of the World in 100 Objects, worldwide 2015-2016. 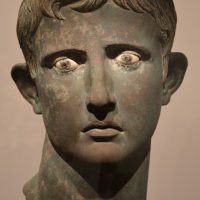 It has also become another example of the way in which Augustus used portraiture to his advantage. 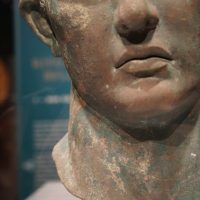 However, what is interesting is the comparisons made between Augustus and Mussolini and how they both used portraiture is a similar fashion.